February 5th, 2019, marks a new year, according to the Chinese lunar calendar, and each year is assigned an animal according to tradition. 2019 is known as the year of the pig and it marks the end of the twelve-year cycle of animals. 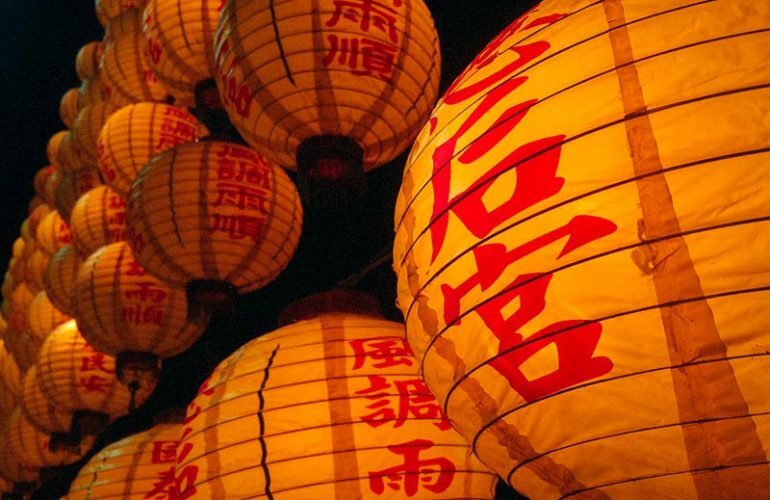 Also known as the Spring festival, Chinese New Year celebrations are held for two weeks, starting from the day before the year and stretching until the beginning of the start of the Lantern Festival. Planning and decorations for the New Year are done much earlier, before the end of the year. At one point the Chinese New Year was only observed in the east, however, in the modern day, Chinese culture and traditions have spread throughout the world. As many traditional elements of Chinese celebrations are based on superstition and folk wisdom, finding the correct look for a project to connect with this ancient and visually powerful occasion can be daunting. So here is a quick guide to help make sure that your project will be successful for the Chinese New Year. Each year is not only defined by a particular animal, but it also has one of the five classic Chinese elements associated with it. The year of 2019, beginning February 5th is an “earth” year. Combined this makes it an “earth pig” year, and brings with it the colors of golden yellow, red, pink, orange, and white. China is not the only culture to celebrate the lunar new year. People in countries like Thailand, Japan, and Vietnam are also celebrating the Spring Festival, albeit with sometimes slightly different elements. The year of the pig is also called the year of the boar and carries most of the same attributes and customs. It is believed that setting off fireworks dispels negative energies and scares away evil spirits, to ensure a safe and prosperous year. While it’s not a good idea to incorporate actual explosions into your marketing materials, utilizing bright colors or images of fireworks can add to your esthetic and really help add some sizzle to your project. No matter what year it is or what animal is chosen to represent it, one theme is always present year after year, gratitude and respect. The concepts are a core component of the new year celebration and observance. This means stick to traditional elements and colors. Done correctly, these design elements can help your project bring home the bacon this year.